Confession: I put a bottle of Stepping Stone Cabernet Franc 2008 in my wine cellar, and left it there for almost two years. I told Craig Camp, the managing parter of Cornerstone Cellars, the sister label for Stepping Stone, that I did it. He understood. It wasn’t really a function of the wine needing to age before it was enjoyed. 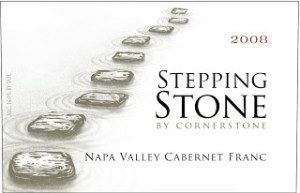 Some other wine writers were blogging about the 2008 vintage of Stepping Stones Cabernet Franc in 2010, and it was good. I simply wanted to see how a $30 bottle of Cabernet Franc held up after two years in the cellar. Earthy vegetables and herbs give way to ripe, lush berries and black cherry on both the nose and the palate. There are sweet spices from the oak aging on the finish. Even with two years in the cellar, there are still firm tannins, and fair acidity. 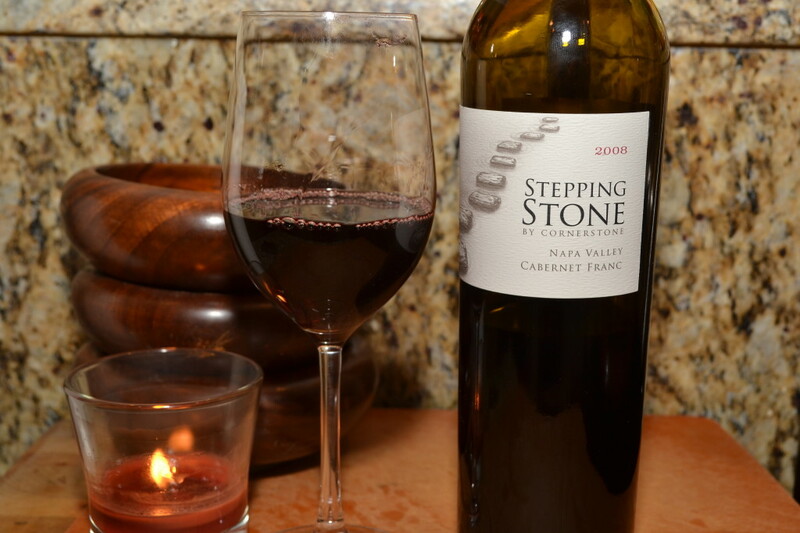 A blend of 96% Cabernet Franc and 4% Cabernet Sauvignon, this is a great wine to pair with food, though the Stepping Stone 2008 Cabernet Franc is also a very nice sipping wine. The 2008 vintage was $30, while the current 2010 vintage of this wine is $35. I’ve previously enjoyed wines from Stepping Stone. In 2012 I took sips of Stepping Stone Cabernet Sauvignon 2008, and in 2011 I took a look at their white wine called Stepping Stone ROCKS! 2010. I have a bottle of the Cornerstone Cellars Cabernet Sauvignon that has also been sitting in the cellar for about two years. That wine definitely was young and tight when I received it, and I think it’s almost time to pop the cork. What wine have you been holding on to that you think it’s time to open? Let me know by leaving a comment below.